Welcome to the Bode 100 download area. 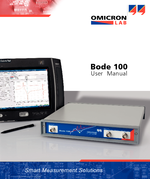 Bode Analyzer Suite installs the graphical user interface (GUI) as well as the automation interface (AI). Attention: BAS V3.X comes with a completely new Automation Interface! 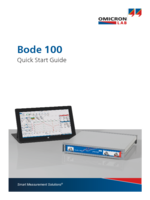 If you have developed an automated solution with a previous version of the Bode Analyzer Suite you will have to apply some changes if you want to use the BAS V3.X! The Automation Interface has totally changed from BAS 2.43SR1 to BAS V3.X. This version is an old legacy version of the BAS and is not recommended for new designs! We do not recommend to download this old version except you really need the old Automation Interface structure! Important: This version is not compatible with the current Bode 100 Revision 2 hardware! 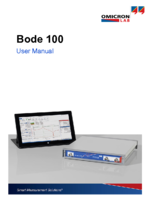 If you are still using Bode Analyzer Suite 2.X, feel free to download the old user manual below.